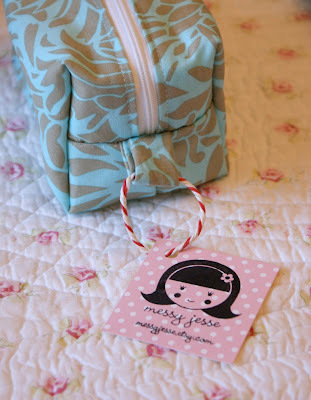 MessyJesse - a quilt blog by Jessie Fincham: Custom Messy Jesse Stamp! 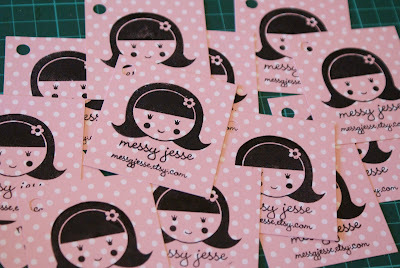 Im SO happy today because i finally got my custom messy jesse stamps i had made! 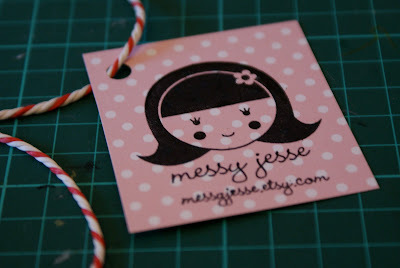 do you like the swing tags i made :) this will be my new official logo, yay! I'm also happy because I'm off to London tomorrow for the weekend, and i received my Beyonce tickets I've been waiting for, for ages! I'm seeing her live at the O2 on Saturday night - it's going to be SO much fun!!!! Are you doing anything nice over the weekend? Very cute stamps. Really suits your work. I also like the butcher's twine? Fab.